This blog series will introduce the clang-tidy utility from the Clang/LLVM project and show how to use it to automatically refactor C++ source code and integrate with your build system, as well as how to use the tool on other platforms than Unices. C++11 added a significant amount of new C++ language features which to date still aren’t used to their full extent. The most visual ones are for sure auto, override, Lambda expressions, range-based for, uniform initialization syntax, you name it. While C++11 is now several years old already, there’s still lots of code bases which don’t use any of the new language features, be it by policy from management, or by pure laziness to avoid the porting effort from the developer side. 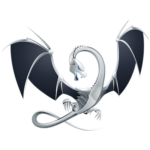 Clang-Tidy from the LLVM compiler infrastructure project is here to at least overcome the latter, to allow automatic refactoring of your source code so it uses the new language features. So far you of course always re-implemented the correct base-class method, because you’ve extensively tested your code via unit tests! Of course you did. Thus the code is fine but you would now like to move on. You’d like to add the override specifier to every single re-implemented method in your code base, but of course without hiring a trainee which goes through the code line-by-line and adds them manually. Just to stress that adding override indeed serves a purpose, we’ve just recently fixed a bug in Qt 3D where we were not overloading the correct base-class method. With the specifier added earlier, we would have noticed instantly, after recompilation. We’ll take the missing-override example further to explain basic usage of clang-tidy. Clang-Tidy is a clang-based C++ linter tool which provides a shell executable called clang-tidy as the main entry point. It is an extensible framework for diagnosing typical programming errors, or style issues — generally anything which can be detected during static analysis of the code. The real benefit of the tool is that it additionally allows to automatically refactor the source code by applying fixits each individual issue may provide. It is heavily plugin-based and comes with a useful set of plugins out of the box, which we’re going to discuss in the next paragraph. Clang-Tidy is a tool developed and maintained by the Clang/LLVM community. We’ll be discussing installing the tool on other platforms than Linux in one of the upcoming blog posts. Note: We recommend you to always install the latest version (at the time of writing, the version based on Clang/LLVM 3.9 is recommended), as the number of available plugins/checkers varies greatly from version to version and grows constantly. Executing it like this, the tool will print a bunch of warnings and notes (if applicable), in exactly the same way Clang/GCC provide diagnostics, too. Clang-Tidy is a useful static analysis tool on its own with lots of different available checkers, this, however, is not the focus of this blog post. We’d rather want to leverage the tool’s powerful refactoring capabilities to modernize our source code. $ clang-tidy --list-checks -checks='*' | grep "modernize"
Impressive list of options already, isn’t it? Clang-Tidy indeed ships some interesting checkers out of the box (as of Clang/LLVM 3.9), with the list growing constantly from release to release. To show how the tool is being used let’s focus on the modernize-use-override checker, as it’s the most applicable and most uncontroversial checker. Alright. So it noticed that Derived::reimplementMe(int) overrides a base-class method but is lacking the override specifier! Now we could add that manually… or just let the tool do it for us by passing -fix! clang-tidy applied 2 of 2 suggested fixes. Clang-tidy applied the fix-it, and inserted override after the method declaration in line 5. Done! Not all checkers of clang-tidy actually carry fix-its, but the ones starting with modernize all do. So far we’ve run clang-tidy on a single, standalone file only. What happens if you have a more complex project setup, with lots of files, all with custom compile flags? Clang-tidy always operates on a single file, or rather, translation unit. We can help the tool to figure out the correct compile flags for each translation unit we compile in our project. The most convenient way to run it is with a compile command database. CMake can automatically generate one, and once a compile_commands.json is in place and a working version of clang-tidy is in PATH the entire code base can be analyzed with the run-clang-tidy.py script (usually shipped as part of the installation). If not you can simply download it here. Note: It is highly recommended to use run-clang-tidy.py to run clang-tidy on a whole project, since it’ll run the tool multiple times in parallel and makes sure concurrent executions don’t interfere with each other (e.g. by avoiding modifying a shared header in parallel and in turn generating broken code). That’s it. clang-tidy will now be invoked on each translation unit in your project and will add overrides where missing. The parameter -header-filter=’. *’ makes sure clang-tidy actually refactors code in the headers being consumed in the translation unit. The parameter checks=’-*,…’ makes sure all default checks are disabled. Note that the fixes are only applied in once run-clang-tidy has finished! The script will only record the changes to-be-performed and applies them all at once at the end. It’s usually a good idea to perform one checker after another, committing intermediate results (think of “Port towards C++11 nullptr”, “Port towards C++11 override”, …) into your version-control system. I’ve personally used clang-tidy on a lot of different projects already, with positive results. Remember, this tool has perfect knowledge of your code (as it is in fact using the Clang compiler frontend) and thus will refactor your code without ever introducing broken code. Clang-Tidy is a powerful tool which makes porting your legacy code base towards C++11 a matter of running a one-liner. It comes with a great set of default checkers and the list of additional ones grows constantly. The modernize- checkers can be used to modernize/refactor your source code to use new C++ language features. In the next part of this series we will discuss how to use clang-tidy project-wide with other build systems. That’s the idea, yes, we’ll be covering using clang-tidy from Windows in one of the upcoming blog posts. Stay tuned! There’s few gotchas when you are on windows and not using cmake – there’s no decent tooling to generate compile_commands – atleast if you are using cl & qmake & jom/nmake – patch for python version of scan-build is in the works if you check github .. I hope it is ok… I would like to advertice that clang-tidy is now integrated in the cppcheck GUI. I am a Cppcheck developer. If you are on windows and use qmake etc. then you should be able to run clang-tidy on your project using the Cppcheck-GUI. Generate the visual studio solution using your build tool and then you can run clang-tidy using that. Mats, you can build it fairly easily but it is a big build: LLVM + clang + clang-tools-extra, all from the official LLVM SVN repo or Git mirrors. However, TBH, the VSIX does not seem to be very configurable. CMake also supports Clang Tidy directly in recent versions (don’t remember if it is 3.6 or 3.7). Works great with Make and Ninja generators! Does anybody know if there is an integration of clang-tidy into Qt Creator available? I just now of the Qt Creator plugins “ClangCodeModel” and “ClangStaticAnalyzer”. There’s no clang-tidy integration in QtCreator yet, as far as I’m aware, sorry. Without --checks=* clang-tidy will only list the checks which are enabled by default. I am using the modernize-use-using checker from clang-tidy through the run-clang-tidy-3.9.py script over a whole CMake project (I use the compile_commands.json file generated by cmake). Looking at the source code, I don’t understand why there would be such conflicts, but the issue is that because of these, no other fix is applied to my project. These are very few conflicts relative to the number of fixes, but I can’t find a way to force clang-tidy to apply the rest. The clang-tidy tool, when run alone has a -fix-errors option, but this is not available for the run-clang-tidy script which uses the CMake commands file.